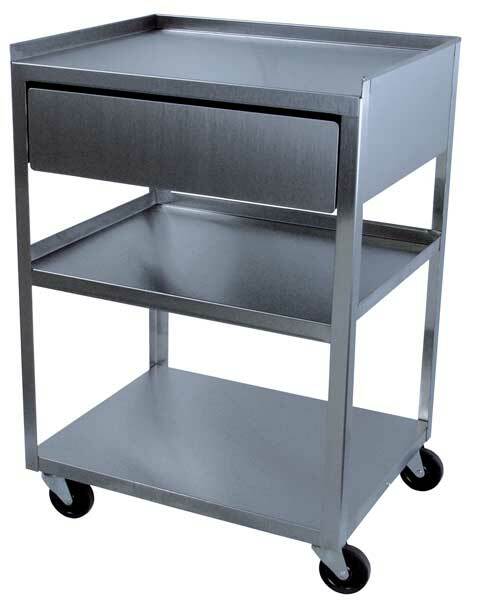 This RiversEdge Products stainless 3-shelf cart includes a full-sized drawer on ball bearing glides. 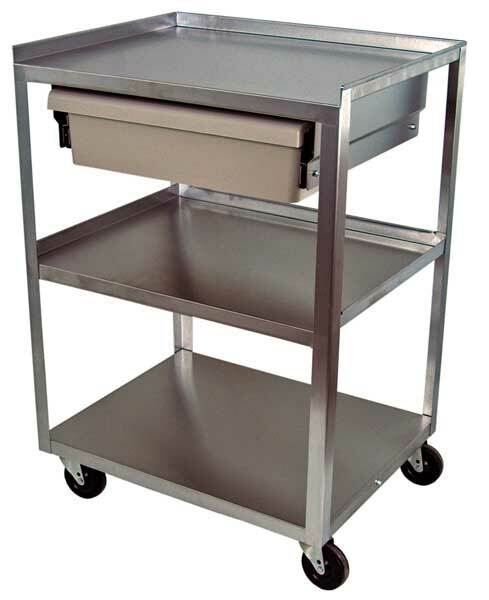 The shelf size is 16″ deep by 21″ wide with the top shelf working height of 30″. The shelves are 22 gage and the uprights are 16 gage polished stainless steel, type 430. 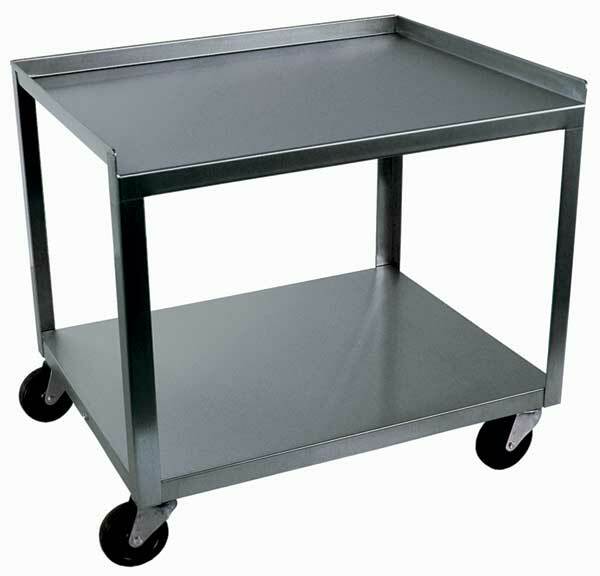 The casters are 3″ swivel without brakes. 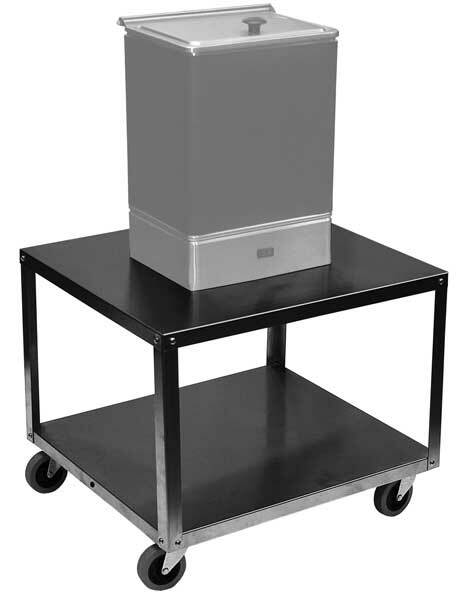 Even though the cart only weighs 43 pounds, UPS dimensional weight is 72 pounds for shipping charges. Ships assembled. Made in USA.